Thanks For The Great Years! Jeremiah 29: 11 tells us that God has a great plan for our lives, one that gives us hope and a future. This has been my life verse for the last 51 years. There is a popular TV show called “Dirty Jobs.” There should be one called “Greatest Jobs.” I would be the first to send in a resume telling about my 21 years as Director of Chaplaincy for CBAmerica. We have the greatest chaplains. It has been an absolute joy to serve our chaplains and their families and visit the many churches that support chaplaincy financially and pray for this ministry. I loved being in homes and offices with you, spending time eating together with your families and playing with your pets. It was exciting to see the hand of God at work in your lives and meet some of the people whose lives had been changed through your ministries. There were many changes at CBAmerica over my years there but as I look back I thank the Lord for placing me in that leadership role. My life is so much richer now. Carol and I have been richly blessed by our chaplains and churches in many ways. CBAmerica went way beyond our expectations with their retirement party for us at Seaside, Oregon back in March. Thanks to all who came and participated in that event. We have wonderful memories of our years with you, our chaplains. 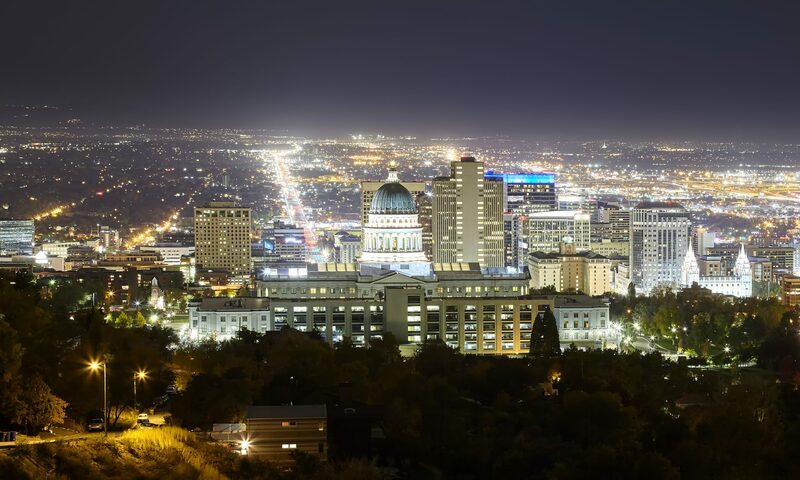 We were able to visit many States, Installations and overseas countries. I have been to every State and now that we are retired we can visit more Family Campgrounds and relax. We had originally wanted to get an Elio car to pull behind our motor home and were told it would begin to be produced now, but they have new prototypes and it will be at least a year before production begins. We were in line with number 11,293. As we thought and prayed, we decided not to wait another year but look for something else more suitable. In the Elio, seating was tandem with Carol sitting behind me and there was very little trunk space -no room for our small dog to ride along with us. Many of you donated to this project and we are very grateful for your loving gifts. 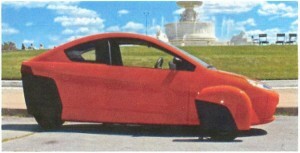 The cost of the Elio was $6,800. As we looked for another alternative, I was able to find a SMART CAR made by Mercedes with side by side seating for two and room for the dog. The cost was basically the same. 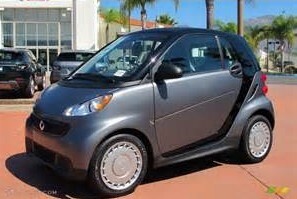 I found this little car online in Norman, OK. It is a 2013 and only has 1,063 miles on it. It comes with a 4 year, 50,000 mile warranty. Carol and I used air miles and flew one way to pick it up June 29th. We put 1,200 miles on it coming home from Oklahoma. It drives great, fits on our trailer, in our garage and we can hold hands while driving. We are so thankful to all who had a part in making this a reality for us. We are so blessed! Keep us in your prayers as we adjust to medical issues and enjoy the years God will continue to give us. This has been a good year. 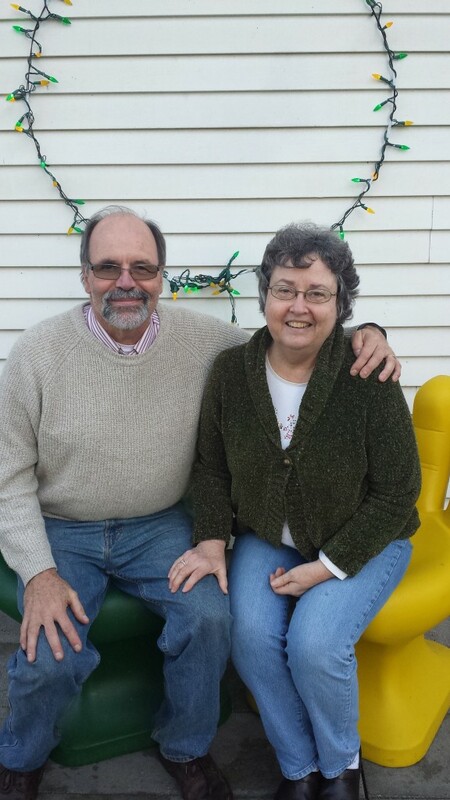 I will have finished 51 years in ministry (not done yet, want to do some teaching), celebrated 50 years married to Carol, my high school sweetheart, June 26th, finished a PhD in Leadership in February, had my fourth pacemaker implanted June 24th and retired June 30. It was once said, “Come grow old with me, the best is yet to come.” With God as our guide we will march on until he takes us home. Keep us on your Christmas Card list and we will do the same. Love and support Andy Meverden and his wife Myra as you did us. God Bless! CBAmerica has an astonishingly wide breadth of chaplains. Some from unsuspecting backgrounds. Chaplain, Lt. Col. David Poland’s story is quite amazing. After leaving the US Army sooner than planned, this self-admitted “crusty NCO” picked up his rucksack and continued to follow Jesus in a whole other direction. 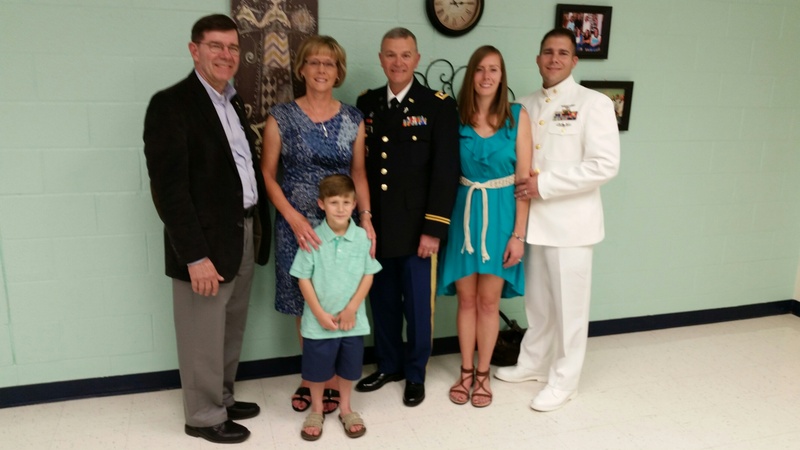 Read how God led Sergeant First Class Poland into a fruitful ministry career. David writes: “In 1982, I was medically retired from the Army for injuries received in a combat training accident. It took three surgeries, 14 months of medical leave, countless hours of physical therapy, and over 10 years for the Army to reach that decision. I was a senior NCO in MI. After my retirement, I used the GI Bill to complete seminary, and became a chaplain at an independent retirement community. I continued in school for doctorates in counseling and ministry. In 2006, the husband of one of staff members committed suicide after returning from duty in Iraq. As I helped her through her grief, I began to learn how many of our active military and veterans were committing suicide. I felt that with my experiences and injuries in the military, as well as my education in counseling, that perhaps God wanted me back in the military as a chaplain. 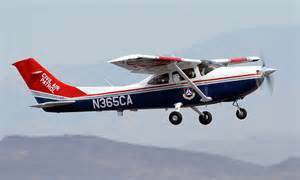 That door would not open because of my injuries and age, but it was suggested I investigate being a chaplain in Civil Air Patrol (CAP), the US Air Force Auxiliary. With proper training, CAP chaplains can go on USAF orders to supplement the USAF Chaplain Corps. In 2008 I joined CAP, was endorsed as a chaplain by CBAmerica, got qualified to go on USAF orders, and have been working with members of the Missouri Army and Air Guard. I have done about 100 funerals for veterans each year. In addition to honoring our veterans, this provides an opportunity to minister to their families. It has also given me the opportunity to counsel members of Guard after they have returned from deployment. At times, families will tell us their deceased loved one had attended church as a child, and even though none of them are “religious” now, they still want Christian prayers for the deceased. Several of the chaplains had a discussion and decided if they had requested a chaplain, then they would receive a Christian service from our own tradition that included the Gospel. At one such service, the firing team was members of the Marine Corps League. After the funeral, each member of the team approached me, to thank me for a clear presentation of the Gospel. It was one of those moments when you hoped you have served the Lord, only to have it confirmed from an unlikely source. What a change of direction for David Poland; from “pushing troops” in a Military Intelligence unit, to completing multiple graduate degrees, including two doctorates in ministry and counseling. Whether in a nursing home, his Civil Air Patrol Squadron, or officiating veteran burials in a National Cemetery, Chaplain Poland has the boldness and sensitivity to share the Good News of Jesus Christ in life’s most difficult situations. Pray for Chaplain Poland and the seven other CBAmerica-endorsed Civil Air Patrol chaplains serving in eight different states. I had the joy of taking the West Family out to dinner, the evening before Brad’s retirement ceremony on June 4, with their daughter, Natalie, her husband and son. I listened to stories of family travels, the challenges of separations due to Brad’s several deployments, plus discussion of hopes and excitement of the future. It was a fun time of “pre-celebrating” the ending of a fruitful 23-year military career, and launch into next phase of life and ministry. The love and levity of the mealtime gathering spoke volumes of the flexibility and commitment this family had to one another and to their chaplain husband, father and grandfather. The next day, I drove 60 miles due west of Ft. Bliss, Texas to the 500-seat chapel where Chaplain Brad and Susan had ministered the past two-plus years. I arrived early enough to present them with a framed painting of the Lamb of God set in the frame of the Cross. On the reverse side was a Certificate of Recognition and Appreciation presented by the Board of CBAmerica for their many years of faithful and fruitful ministry service. (See photo). Then I found myself a seat near the rear of the chapel, as I had to leave before the end of ceremony to catch my plane home. (White Sands is not the end of the world, but you can see it from there!). People began to arrive for the 3:30pm ceremony. Among the first were the Commanding General and Command Sergeant Major of the Installation. Normally, the “Garrison Commander” (a colonel) conducts such ceremonies, and when unable, the next in command steps in. But not this time. Today, another active member of the Protestant Chapel would officially “retire” Chaplain West, the Commanding General, himself. While I waited, I would soon learn why. People of all types began to filter in, Soldiers in uniform, some with their families, found their seats in what looked like their usual Sunday seats. Civilians, workers and supervisors, recognized by their dress came in with teenagers, children, and a few infants and toddlers. It struck me that it looked much like a civilian church, with people of all ages and stages of life. One man came up to greet me, he must have been a chapel usher, and when he didn’t recognize me, I explained that I was Chaplain Brad’s endorsing agent (director of chaplaincy) for CBAmerica. When I said that, he moved me to the side. He looked me in the eyes and said, “I want you and your denomination to know something; Chaplain Brad saved my marriage.” With teary eyes he briefly shared how early on Chaplain Brad detected a problem and challenged him to “man up” and be the head of his family. Walking off, another person greeted me and asked if I knew how and why Chaplain West was assigned to the White Sands chapel. Shaking my head, he explained that he had been serving on Ft. Bliss, and hour east, when the Army chaplain assigned to White Sands died by suicide. My mental file searched back to a story about an Army chaplain who died by his own hand, and I realized it was Brad’s predecessor. Army leadership were aware of the devastating impact on the chapel congregation, and looked for the right shepherd to come and gather and heal the stricken flock of believers. Though not an assignment many would anticipate, Chaplain Brad West was the shepherd needed. I sat down. The ceremony began, the National Anthem played, and the incoming chaplain prayed, before the Commanding General (from memory) rehearsed Brad and Susan’s entire military career. A believer himself, he quoted Scripture, and referenced his time under the preaching and pastoral care of one of the “Army’s finest chaplains.” Following this 25 minute tribute, the chapel was called to attention, and Chaplain (Lieutenant Colonel) Bradley A. West was awarded the Legion of Merit for his outstanding decades of military service, including the rebuilding of the White Sands Protestant Chapel. I slipped out and raced back over the white sands to the El Paso airport. Boarding my plane, I belted in and pondered what I had just seen and heard. 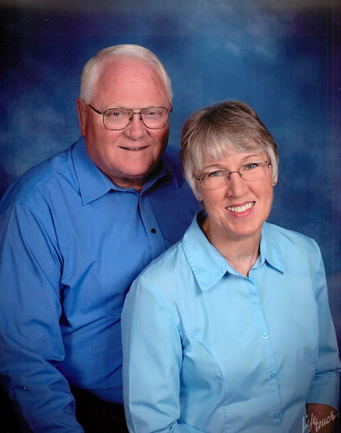 I thanked God for allowing CBAmerica to endorse and field effective, godly chaplains like Brad West; and prayed that he and Susan would find new opportunities for ministry in the Northwest CB Region where they plan to settle near Bend, Oregon. I encourage readers to send congratulatory emails to Brad and Susan at Bradley.allen.west1@gmail.com. NWCB Churches interested in utilizing Chaplain West’s family life, counseling and pastoral skills are encouraged to contact him directly after July. Report submitted by Andy Meverden, Director of Chaplaincy, CBAmerica. Chaplain, First Lieutenant (Promotable) Matt Laun, of the New York Army National Guard is stationed at the Niagara Falls Air Reserve Base. His mid-year ministry report caught my eye. 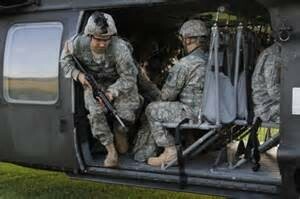 “It has been a difficult year for the 2/101 CAV (Air “Cavalry” Unit with helicopters). In February 2015 we lost a young Soldier to suicide. In March we lost a Soldier who fell asleep at the wheel while driving in to drill. In May we lost a young Soldier due to a motorcycle accident. Yet, in all of these events, God has provided abundant opportunities to support Soldier’s families, grow closer to our Squadron’s Soldiers, and share the love of Christ. Pray for the Holy Spirit to sustain and guide Matt and the other 94 active and reserve CBAmerica military chaplains distributed across the US, in four overseas locations, and on ships cruising in hostile waters, as they deal with matters of life and death. Chaplain Evan Spencer’s career began in the active Air Force and meandered through the Air Force Reserve, as he entered the Federal Bureau of Prisons. He’ll be the first to tell you it hasn’t been easy, but all along the journey he used his musical gifts to elicit praise from those he served. 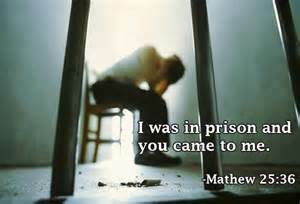 His last report (January to June, 2015) recorded innumerable one-on-one visits, extensive pastoral counseling with Christian inmates, Bible Studies and coaching his inside group of “chapel volunteers.” Chaplain Spencer dedicated a significant amount of time to discipleship of those inmates serious about the Christian faith. As a result, he led two offenders to Christ and baptized five into His Name! Evan lifts the curtain of ministry in his report. Part of his great joy was that he “encouraged offender ‘TB’ over a period of time last year to start attending services. He has since given his heart to the Lord and is a regular in the chapel ministry.” In another situation he “ministered to ‘LL’ in counseling. He was a Pagan who was into worshipping and serving the devil for most of his life.” He said the way that Evan explained the Gospel caused him to think. He has subsequently dedicated his heart to the Lord, and has recently been baptized. If you sense God’s Spirit leading you into prison ministry, contact Andy Meverden, Director of Chaplaincy for advice on how to pursue this specialized chaplaincy ministry. Email: chapandy@cbamerica.org. Men and women in the Army National Guard too often face civilian obstacles that challenge them personally, physically and spiritually. They struggle with marital and financial challenges, as parents, in civilian jobs and more, all which affect military readiness. In 2010, Ian Howarth, ADP ’09, made a decision to help these soldiers and airmen through serving God and his country as a military chaplain. He is now a captain in the Idaho Air National Guard’s 124th Fighter Wing at Gowen Field just outside of Boise. Although he joined the Oregon Army National Guard in 2010, it was a decision he and his wife, Allyson, had talked about since 2004. “I was a youth leader and met a pastor going through the chaplaincy,” he said. 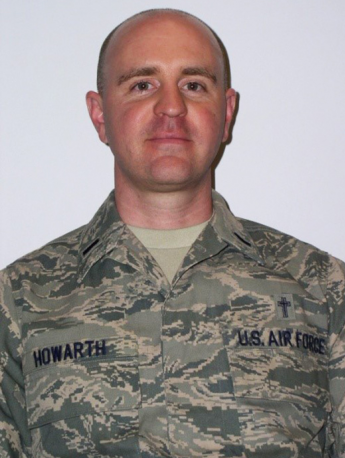 “It struck me how much of an impact a chaplain has on the soldiers and airmen we serve.” Although Howarth started his adult life with a desire to become a teacher, and did so for several years, he said he also had a strong desire to work in ministry. Howarth’s long-time friend, military retiree and fellow Corban alumnus Steve Fink, ADP ’09, had many open and honest conversations with him about military life and the role of chaplains within it. Being a chaplain isn’t all the media makes it out to be, Howarth said. One example he gave is the misconception that Christian chaplains can’t pray in the name of Jesus Christ. “It’s a weird dynamic,” he said. “You work for the federal government and you are in the military, but you represent your faith. I’ve never been in a position where I have to compromise my faith to keep my job.” He is endorsed by the Conservative Baptists Association (CBA) and said the military allows him to follow the organization’s tenants when serving military members. However, Howarth also noted that the role of a chaplain isn’t centered on evangelism, but relationships. He builds camaraderie with those around him and uses his personal experiences to help them through many different challenges. “I haven’t lost sight of where they come from,” he said. “I may not have the same military experience as they do, but I know what it is like to be a civilian. I know what it means to live paycheck to paycheck. I recognize the turmoil that happens in their marriages and with their kids and I am someone they can confide in.” Fink said soldiers are attracted to Howarth’s character and personality. Although he loves his role and believes there are Corban School of Ministry students who would make good military chaplains, he said there are important considerations. One, military chaplains need to be able to work with people from all faith groups including Catholics, Orthodox, Latter Day Saints, Muslims, Buddhists, Hindus, and others. He also said that while Christian chaplains aren’t required to pray the rosary or offer Muslim prayers, they must be willing to help a soldier find someone who can meet their religious needs. Yesterday I spent some of my time on my designated floors thanking nurses for what they do so well with patients and families. As a chaplain I often work closely with them and definitely depend on them for referrals and input regarding who to see and what is needed from their point of view. As I offered this to one of the young nurses she returned the favor. Her question to me was one I thought of for a minute before answering. She said, “Do you know how much you do is appreciated as well?” I told her I was aware of some of the times when the work of a chaplain is really what was needed. She went on to tell me her story, which I did not know and which touched my deeply. She said she remembers the night not all that long ago when she was a new nurse working on this cardiac care floor. She felt like she had been “thrown to the wolves” that night. She had a patient who was not doing well. The doctor had come in and told the family he did not think the patient would survive the night. She herself felt overwhelmed. What to do? Were they open to a visit from the chaplain? Yes. It was the middle of the night. My call night. I received the page and called the number. The nurse answered and explained the situation. Would I be able to come and support this family in crisis? Of course I would. And of course I did. To tell you the truth, I don’t remember that specific situation. There have been so many that they sometimes blur a bit. The nurse said I came in and spent some time with the family and prayed with them. She said she was listening outside the partially open door. That night, as I often do, I sang a song for them. She said it was “Amazing Grace.” As she heard those familiar words she pretty much melted into the wall and just received that old, simple, yet profound message and hope. And that got her through the night. The patient did not die, she reported to me, and in fact lived to leave the hospital. The family was pleased. The nurse was refreshed. She said whenever she hears “Amazing Grace” she thinks back to that lonely, hard night. And she is thankful. 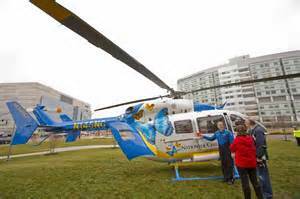 My role as a hospital chaplain is complex in many ways. Sometimes my ministry is through words. Hopefully those things shared help address the spiritual pain that is present. At all times I am there to represent a loving, caring God to those who are not having one of their better days! As I get to share that amazing grace of God in what I say (or sing!) and in who I am, it seems others are touched by that grace as well. Unintended by me. But not by God. And that’s what often makes this ministry amazing and humbling at the same time. Words fail me as I reflect upon the privilege of working in some small way with the Lord through the CBA Ministry to share God’s heart towards us with others. Over the years, comments from many staff, patients and families have shared with me about how they experienced His presence, care and salvation in their time of trauma, even the dying, while I was with them. I was comforted and often encouraged by their responses to my ministry. Numbers are necessary for reports but gratefully for our calling, yours and mine and the others, we are about the individual stories of God reaching out to individuals in need through our presence in their lives. I am remembering in my residency that so many people died after I prayed with them that it scared me until a priest told me my words helped them go to the Lord. I remember quietly saying to one man close to death to say “Lord I’m sorry, remember me” as the thief on the cross came to my mind. Another time after being up 16 hours and wanting to retire for some sleep I became restless that things were not settled in the hospital so I got up and started walking around, actually I got lost, but I came across on one of the floors an elevator that took me to a young teenage girl sitting in the semi dark with her little baby. She was waiting for someone to come and help her, like the lost lamb. Then I slept. And I remember a teenager in the mental health institution I was at for about three years who helped me serve communion at his going home service. He and other teenagers put on an Easter event for the entire children’s building, something that had never been done before there. His family was astounded at his change since he had been placed there from the age of 10 years, but God touched him and his life like the possessed boy in scripture. I remember a young woman who wanted prayer before her surgery in the middle of the night and so I came. Hours later as I was about to leave she shared what was really on her heart, that she thought God was taking her legs because she had not kept her promise to stop smoking. By the time she was discharged she beat everybody in wheelchair races in the hospital hall, and her faith in God gave her hope that she shared with others. Then there was the talk with a young girl who wondered why she had been adopted. This was my first experience with the idea that God’s blessings come in ordinary, unusual, sometimes distressing packaging, for I said to her the people that are not in our lives are as much a blessing as those that are, as we in faith trust God’s love and goodness for us. This past April, over 200 Vietnam Veterans gathered at Camp Pendleton to commemorate the 50th Anniversary of the involvement of Reconnaissance Marines in Vietnam. It was a bittersweet time for many of these men as they were able to reconnect with old friends, but were also reminded of their brothers-in-arms who paid the ultimate sacrifice. 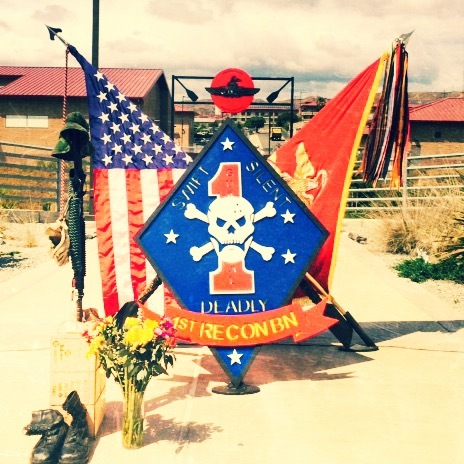 One of the highlights of the reunion was a Memorial Service that was held for all Reconnaissance Marines who have been Killed In Action since the Vietnam Conflict. It was a moving ceremony that focused on honoring the memory and sacrifice of these great men. As the chaplain of this service, I was humbled to be in the company of so many heroes. As I was shaking hands with people following the service, nearly everyone commented on how meaningful it was for them to set aside some time to remember their friends. I pray that they found comfort in this remembrance and that the Lord used that time for His purposes in each of their lives.